The foundation of all our lattes, mochas, macchiatos and more, and the heart of our beverages, is our perfectly pulled espresso. A Doppio is simply two bold shots combined. Our baristas pull each intensely rich shot Within a precise five-second window and ensure each has three distinct layers: the crema, the body, and the heart—or they toss it out and start again. It's been this way at Starbucks for over 40 years, because we believe that crafting the perfect espresso is the key to crafting the perfect drink. This classic European-style beverage is made with a perfectly pulled shot of our signature espresso marked ever-so-lovingly by a dollop of steamed milk. Anything more than a hint Of milk and we would risk obscuring the rich, caramel flavor that gives the espresso its wonderful intensity. A product of simplicity, crafted into artistry, our baristas know that balance is key to the perfect Flat White. 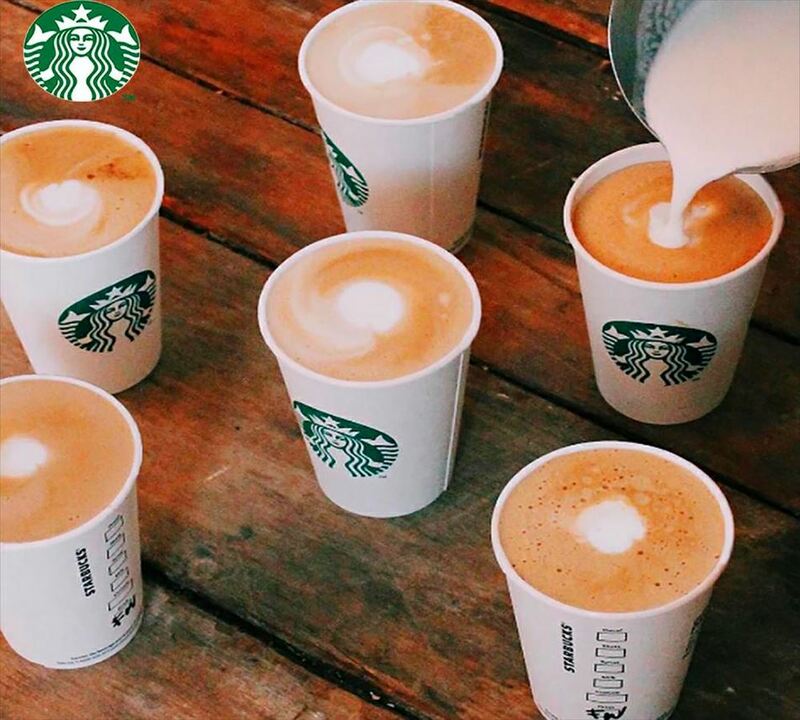 An extra ristretto shot ensures that it's bolder than a latte, yet steamed milk keeps it smoother than an americano. But perfection doesn't end there—the technique for steaming and pouring the milk requires close attention as well. Steamed milk is folded into itself creating a velvety microfoam that gives the Flat White its silky texture and signature White dot. The delicious, multi-layered Macchiato begins with milk steamed until it's stretched and smooth to bring out its natural sweetness and is topped by a dense, creamy foam. Then rich espresso is poured over and through the foam, Where it mixes With the milk and creates a brown mark on top. Finally, the barista signs their work of art with a crosshatch of sweet caramel sauce. We pour our hot espresso over a slightly sweet mocha sauce and let them melt into a wonderfully rich concoction. Then we add steamed milk to the mix to balance the richness Out into a chocolaty treat that delights the senses without overdoing it. Add some whipped cream to the top, but only if you want that little extra kick of sweetness.